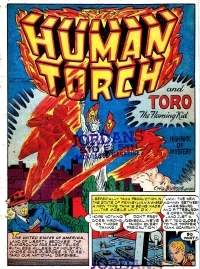 Carl Burgos (n� Max Finkelstein, April 18, 1916, New York City, New York; died 1984) was an American comic book and advertising artist best known for creating the original Human Torch in Marvel Comics #1 (Oct. 1939). 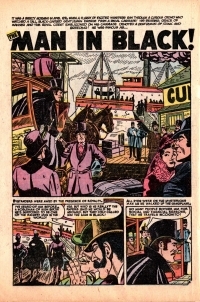 Following his return from the war, Burgos attended City College of New York to study advertising and drew a small number of stories for Timely, including anthological crime dramas in Official True Crime Cases Comics #24 (Fall 1947) and Complete Mystery #3-4 (Dec. 1948 - Feb. 1949). 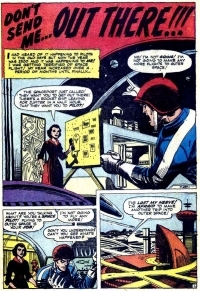 Other work included penciling a Captain America story in Marvel Mystery Comics #92 (June 1949), and inking fellow Timely mainstays Mike Sekowsky and Syd Shores on, respectively, at least one story each starring Sun Girl and the Blonde Phantom (both in Marvel Mystery Comics #89, Dec. 1948). 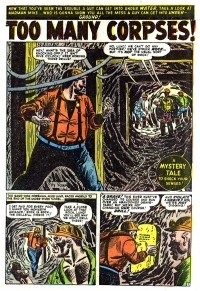 Segueing out of full-time comics work, Burgos eased into a career in advertising and commercial art while freelancing frequently for Atlas Comics, the 1950s iteration of Marvel, primarily as a cover artist across all genres from jungle-girl to war comics, though fellow Atlas artist Stan Goldberg, who joined the company in 1949, recalled in 2002 that "Burgos was on staff most of the time I was there". 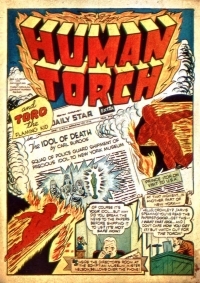 His most prominent comics work during this time came during Atlas' mid-1950s attempt at reviving the dormant superhero field with Timely stars the Human Torch, the Sub-Mariner, and Captain America, with Burgos drawing the Human Torch stories in Young Men #25-28 (Feb.- June 1954), as well as the covers of Young Men #24-25 (Dec. 1953 - Feb. 1954) and of the short-lived relaunch Human Torch #36-38 (April-Aug. 1954); he also redrew at least the Human Torch figure in the first panel of artist Russ Heath's story nine-page story "The Return Of The Human Torch" in Young Men #24. 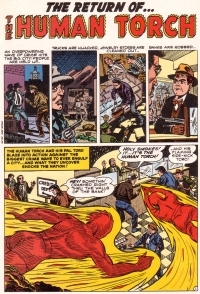 Burgos during the '50s also contributed to the Atlas humor comics Crazy, Wild, and Riot; the Western comic Annie Oakley; and science-fiction/horror anthologies, including Astonishing, Journey Into Unknown Worlds, Strange Stories of Suspense and Strange Tales of the Unusual, among many others. 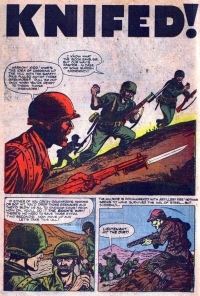 His last credited Atlas story was the five-page "Dateline - Iwo Jima" in Battle #70 (June 1960). 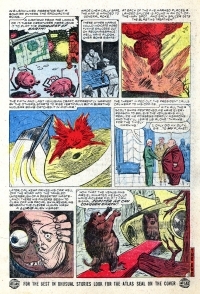 He did humor for Pierce Publishing's Frantic, Satire Publications' Loco, and Major Magazines' Cracked during 1958 and 1959, as well as layout art for the MLJ/Archie Comics series The Adventures of The Fly and The Double Life of Private Strong. 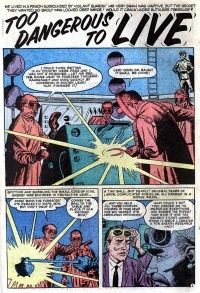 Burgos also provided illustrations for Marvel publisher Martin Goodman's 1950s pulp magazines, including Marvel Science Stories and Western Magazine. 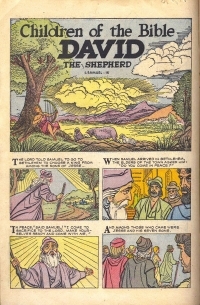 During the late 1950s and early 1960s, Burgos worked for the Pro-Art Company and later for the Belwin Company, where he drew covers for sheet-music books, sometimes assisted by Susan Burgos, one of his two daughters. He also worked for a greeting-card company. cover Lem Parkins, The Killer Who Couldn't Stop! The Girl Who Planned Her Own Murder! 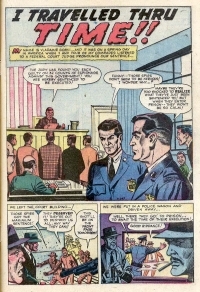 cover Death of a Spy! cover Won't You Step Into My Parlor ...? The Thing in the Water! A Call In The Night! The Man Who Was Death! cover My Coffin Is Waiting! The Man They Couldn't Kill! cover I Crawl Thru Graves! cover A Monster Among Us! The Man Who Was Rubbed Out! cover When the Vampire Calls! cover Terror in the Streets! cover The Corpse and I! When Grugg Goes To Sleep! cover Action at Ming-Po Pass! cover A Shriek in the Night! cover A Scream In The Dark! cover 12 Hours Till Death! cover Combat Casey Strikes Again! In The Line of Duty! cover He Lurks in the Shadows! cover The Woman in Black! cover He's Trying to Kill Me! cover Death in Twin Falls! The Man Who Isn't There! cover By the Light of Moon! A Man Behind The Blinds! cover The Girl Who Couldn't Die! cover Get Out Of My Graveyard! cover Rocket to the Moon! Death is a Spy's Reward! cover To the Shores of Tripoli! cover The Assassin of Paris! Jack And Jill Went Up The Hill! cover Terrors of the Jungle! cover I Can't Close My Eyes! The Man Who Cried Vampire! cover We're Breakin' Out of Here! Death of a Stool Pigeon! cover The Hangin's At Dawn! cover A Night At Dragmoor Castle! cover Fresh Out of Flesh! The Witch In The Woods! The Planet Of Living Death! The Man From Outer Space! Boss of Cell Block Number 18! cover Killer of the Plains! cover The Corpse that Wasn't! cover Death to the Reds! cover How Many Times Can You Die? The Ballad Of Smokey Crane! cover Scared Out of His Skin! Before the Dawn of Time! cover The Living and the Dead! We Don't Want your Head! Crashing thru the Time Barrier! cover They Gave Him a Grave! cover King Of The Bank Robbers! cover Who Walks With A Zombie? 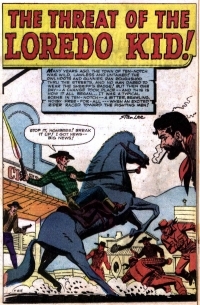 cover The Guns of Kid Colt! cover From Under the Earth! cover Till Death Do Us Part! cover The Hunchback of Notre Doom! cover When Walks the Zombie! You'll Never Guess What This Is About!! cover The Thing in the Box! cover The Man in Blue! cover He Wouldn't Stay Dead! 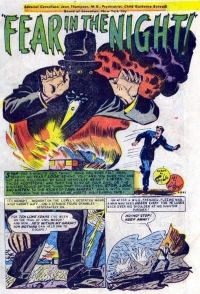 cover The Man Who Melted! cover Come 'n Get Us! cover Mirror, Mirror on the Wall! cover The Man in the Box! cover Gone, But Not Forgotten! cover Hands of the Clock! cover Only One To a Customer! cover The Man Who Didn't Belong! 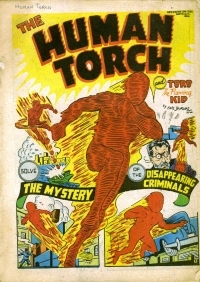 cover The Man Who Vanished! cover The Man In The Bottle! cover Wanted! Dead or Alive! cover ...And A Little Child...! The Case of the China Doll! The Return Of The Spider! cover Keeper of the Keys! cover The Man Who Turned Off The Sun! cover The Boy Who Could Fly! cover The Man Who Lost Himself! cover The Mystery of the Blocks! cover End of a Mission! cover The Trap of Colonel Yeng! cover When Time Stood Still! cover A Jinn Named Joe! cover The Bridge to Nowhere! The Man Who Could Do Anything! cover The Man From Out There! cover The Man in the Sky! cover The Last Two on Earth! He Stands In The Shadows! The Man Who Lived Again! cover They Vanish at Night! 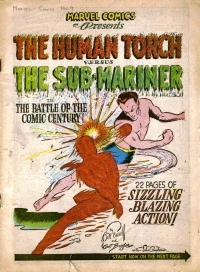 cover Duel in the Pacific! cover A Stranger in Our Midst! cover Someone Is In My Room! I Dare You To Look! Who Walks in the Dark? cover Who Dwells in the Mountain? cover Look Into My Eyes! 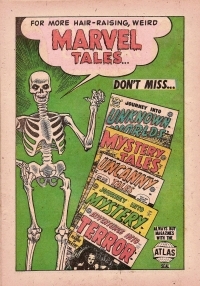 cover Riddle Of The Skull! cover The Hands From Nowhere! cover He Hides in the Night! cover The Private World Of Edgemont Peters! cover With Fang and Talons! cover While the Jungle Sleeps! cover The Man Who had No Fear! When Dave Opened the Door! cover The Things in the Box! The Man Who Wears The Star! cover River of No Return! cover Elevator in the Sky! The Town that Lived Again! 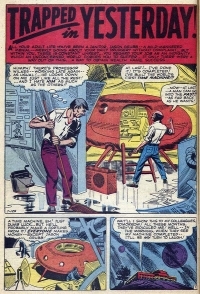 cover When The Ocean Vanished! cover There'll Be Some Changes! The Man Who Had No Friends! cover Which Road To Take? cover What Stopped Dog Company? cover Captured By The Commies! 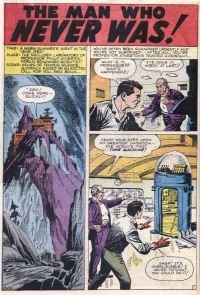 cover The Secret of the Mystic Ring! cover You Must Not Look! cover Turn Back the Clock! cover Out Of The Swamp! The Girl Who Doesn't Exist! cover When the Harpers Ride! cover I've Got to Hide! The Man Who Stole A Skyscraper! cover The Man Who Couldn't Be Touched! The Day the Earth Froze! 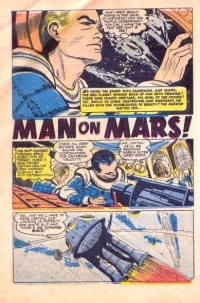 cover Man in the Sky! 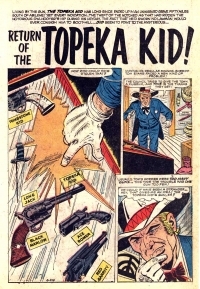 cover Nevada Hawkins, the 2-Gun Tornado! cover I Faced a Commie Mass Attack! cover When the Trap Closed! cover Something Is in This House! 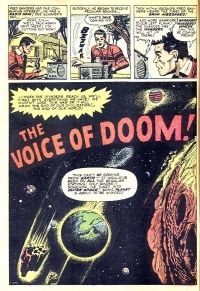 cover The Sound of Doom! cover You Can't Find Me! cover Something Strange About Smithtown! cover Screams in the Night! cover By The Dark Of the Moon! cover The Day of Jungle Wrath! cover Danger in the Streets! cover Take the Red Town! cover This Prisoner is Mine! cover The Third Platoon Strikes! cover Don't Throw That Switch! It Waits In The Dark! cover At Grips with the Enemy! The Battle For Pyongpu Pass! cover Red Tanks Hit the Lines! The People Who Couldn't Move! What Happened in Room 14? cover Bring Back My Body! cover The Room of Darkness! cover I Went Inside the Hidden World! Last Seen Entering A Fog! The Night I Lost My Body! cover The Trap is Set! cover The Sub That Couldn't Be Sunk! cover Colonel Chang's Last Chance! cover And One Was Left Behind! cover Tonight We Raid The Reds! The Outlaw and the Lady!